Though much of the world is understandably busy talking about Emo Kylo Ren and company, 2015 has also seen its fair share of low-budget home runs. Sean S. Baker&apos;s Tangerine, easily one of the best movies of the year, was shot entirely via iPhone. Dope brought a mostly unknown cast to the forefront of cinema while maintaining its ultra-low $700,000 budget. Of course, any discussion about the prospects of under-funded but inarguably viable cinema almost has to include Kevin Smith, who is somehow the director of both confirmed classic Clerks and confirmed dud Cop Out. "You can make a movie for WAY less money these days, kids," Smith said in a later comment on the post. "All the tech you need is right on your smart phone. So...what&apos;s stopping you?" Not to belabor the point, but dude kind of nailed it. With a budget of just over $27,000 leading to an eventual gross of more than $3 million, even the math is on your side. Stop playing Candy Crush and start making movies. 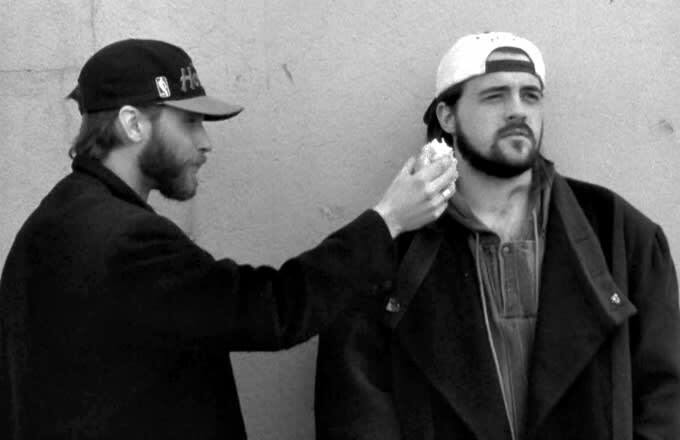 Kevin Smith Has Found Funding to Make "Clerks III"